Implosions, they're deadly and terrifyingly scary, yet beautiful at the same. We wanted to recreate the effect of an implosion in glorious technicolour that lacked the nasty, destructive qualities but looked nice in an earlobe. 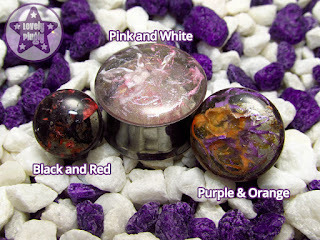 After much material-fiddling, our Implosion plugs were born. 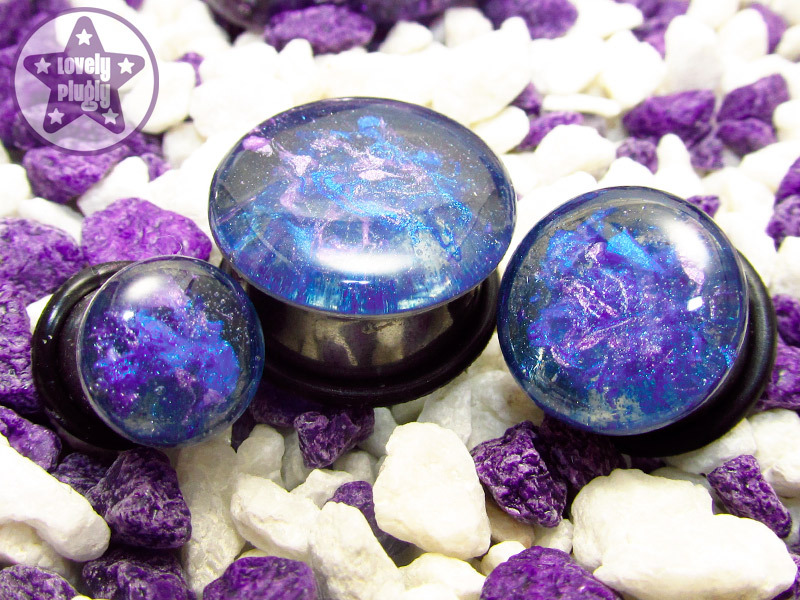 These babies are transparent, deep-filled with splattery implosions of colour, and come in a wide variety of your choice of colours. Implosion plugs are available in sizes 8mm / 0g up to 22mm / 7/8" from this listing here, and we'll also be keeping a stock of ready-to-ship blue and purple Implosion plugs here (pictured below) with more ready-made colour-combos coming soon. We can also make these in bigger sizes; they do come up a bit heavy but please feel free to make a custom request on the product page if your size is not currently listed.